Knox Brannigan filled a pint glass with a local craft brew and wondered when the night before the new year had turned so damn lonely. Behind the long, scarred bar at The Wake, a popular watering hole in Santa Monica, California, he worked on the next drink order and watched over the raucous crowd of merrymakers packing the place with uncharacteristic detachment. The afternoon shift had decorated the walls and ceiling with sparkly banners and shiny streamers and other festive paraphernalia. At the center of each table sat a pile of silly hats and cardboard-and-tissue paper horns. The patrons were decked out as well, the eclectic mix–from surfers and bikers to stockbrokers and systems analysts–displaying their best beach casual. Though December 31, some of the men wore shorts and all the women were wrapped in bright and skimpy dresses. It had hit 75 degrees on the sand earlier that afternoon and he even saw a sunburn or two. But the happy people in happy clothes didn’t alleviate his personal gloom. “Yeah.” A half-deflated silver helium balloon declaring a limp “YOLO!” in bright red letters drifted past Knox, looking as dispirited as he was beginning to feel. He batted it away before grabbing up a bottle of chardonnay and a clean goblet. What the hell was wrong with him? Hearing his own words, Knox shook himself. Good God. He sounded like the hundred-year-old dragon of an admin his dad had assigned to Knox during those miserable months he’d attempted working for Colin Brannigan, media mogul. Would Mrs. Dole have retired now that Colin had passed four months ago? Knox made a mental note to check on the curmudgeon. Sue him, but he had a secret soft spot for the mean old bat. Every birthday he sent her a box of her favorite candy along with one of the alliterative insults they’d so often traded. Even now he could hear her cackle “slothful scoundrel” in his inner ear. “Nah. Here, Connie.” He pushed a rum-and-coke toward the barmaid and watched her set it on her tray and then wade into the throng of customers. “Gabe and Hunter are cozied up with their new honeys. I assume Luke and Lizzie are ushering in midnight with her teenage niece, Kaitlyn. I don’t know what the other three are doing exactly.” His poor mother Kathleen, determined to have a daughter, had ended up with seven sons instead–and then died from a car accident when her youngest boy was only four. Knox took a moment to wish his baby brother well. Finn, a naval aviator younger than him by two years, was currently flying fast planes over somewhere dangerous. The YOLO! balloon drifted by again, its elevation another inch lower and Knox ignored it while reaching for a bottle of Bushmills 21, the single malt whiskey that had been his father’s favorite. He poured himself a half-shot and tossed it back. “It’s natural to feel something, you know,” Eban said, not moving a muscle. But that was the thing! 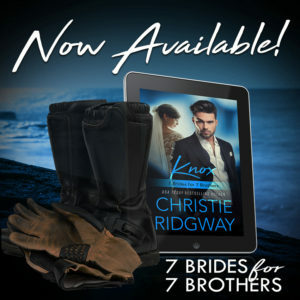 Knox had been numb since his Aunt Claire had phoned him to say that Colin Brannigan had died of a rare and fast-moving cancer and he hadn’t wanted anyone to know until he was gone and his body cremated. Knox thought he’d accepted that his father had died as he’d lived–on his own terms. He and three of his brothers had toasted the old man shortly afterward and Knox had noted his siblings’ anger and sadness over being kept in the dark about the illness, though he’d shrugged it off. It is what it is, he’d told them then. But sometime since–maybe the recent holidays were to blame–Knox had found himself dragged down by a dark mood that he couldn’t shake. Catching a glimpse of his reflection in the mirror behind the bar, he noted the frown on his face and remembered Colin shouting on the day of their last blow-up that had precipitated Knox walking away from his job. You never take anything seriously! his father had declared. Knox met his own eyes in the glass, noting the flat expression in their darkness. “Satisfied now, Dad?” he murmured. But he didn’t have more time to brood about brooding as the action in the bar heated up, the revelers wanting their drinks refreshed before the ball dropped. When it did, the crowd went crazy as they kissed their neighbors and guzzled their beverages and finally danced to the Red Hot Chili Peppers’ instrumental rendition of “Auld Lang Syne” that someone queued up on the state-of-the-art jukebox. That segued into a version Prince had recorded live and while guitars wailed, Knox turned away from the crowd to wipe down the counter behind him. “You’re engaged?” he asked, staring at the rock on the fourth finger of her left hand. Hard to miss, because she was displaying it for him like a jewelry model. “I’m not. Not in the least.” It was why they’d broken up after all. She’d wanted to deepen their relationship, take it to a new level, while he’d liked it fun and games, thank you very much. You never take anything seriously! “Not the right man,” Knox amended, pointing to himself. “You once told me you’d never been in love,” Nina said, and sipped from her drink. “Silent partner,” Knox reminded him. “Go home, Eban,” Knox interrupted, unwilling to continue that conversation. After a moment, the other man waved in acknowledgment and exited through the rear door. In the new quiet, Knox noted he felt just as alone as he had when surrounded by a boisterous crowd. His hand went to his pocket where he found the key that would bring him to some legacy he’d been left by his father. His Aunt Claire had delivered it to him the night he’d met with his brothers in the bar. During the months that followed, worrying the piece of metal had become a habit–as had deliberately postponing a visit to the address that accompanied it. Something ghostly brushed his arm and he started, only to see the stupid YOLO! balloon drift past him again, then finally surrender to gravity and fall to the confetti-and-ribbon strewn floor. Still clutching the key, he stared at it. On New Year’s Day, despite a spare few hours of sleep, Knox joined the dawn patrol–what surfers called their sojourns in the water at sunrise. He drove north past Ventura and stopped south of Santa Barbara, at a famous spot known around the world. Surfers were never alone at Rincon, even if the waves were onshore slop or the water smooth as glass. Today the swells were so-so and the sheer number of surfers enough to get him out after a shorter-than-usual session. Still, he felt invigorated by the cold water, the strenuous activity, and even doing the rock dance–what was required to get into and out of the ocean on that stretch of coastline. It worked up an appetite too, so he stopped his Jeep at his favorite nearby taco stand to get the best start to the morning a man could ask for, a California burrito. In the parking lot, with the sun streaming through his windshield and his driver’s side window open to catch the ocean air, he munched on the huge flour tortilla filled with carne asada, cheese, guacamole, sour cream, salsa, and crispy French fries. The combined flavors on his tongue took him back to happy times–kicking back after a day on the sand, taking a break from a long ride on his motorcycle, at the 19th hole with his buddies following one of their crazy Worst Ball golf games. Where was that carefree, fun-loving side of himself? A knock on the roof had him looking over and up. “Steamer,” he said, grinning. “Steamer,” after the infamous surfing location in Santa Cruz, Steamer Lane, and the name everyone called this guy with his bleached dreds and the shell-and-leather cord necklace. The only other things he wore was a wetsuit and a pair of flip flops that looked to have been nibbled by fish around the edges. “Yeah,” Knox agreed. “But I had a hankering.” He lifted the burrito. And like that, Knox’s dreary mood was back. It hung over him like a dark cloud through his drive home, his shower, and up until he saw a familiar name on his cell phone screen. He snatched up the device. “Max!” Fourth oldest Brannigan, former Navy SEAL, current protector of military contractors. “How the hell are you, dude?” Knox added the “dude” because his brother always seemed to expect some surf lingo from him. “Been dealing,” Max said shortly, and it was clear that was all he would say. Knox released his own sigh. If a Brannigan wasn’t going to talk, he wasn’t going to talk. “I heard you’ve been moping around,” his brother continued. “It’s a key. And not one to a summer camp like Luke received. The address that came with it is a storage unit. I looked it up.” And what would Colin Brannigan have stored there for his second-youngest son? He was sure he’d been as much a cypher to his father as the man had been to him. Or maybe not… You never take anything seriously! “It’s probably a clown suit,” he muttered. Surely he wouldn’t have bequeathed Knox a live gift– “Screw you, Max,” he said, as the other man’s snicker traveled through the phone. Knox shook his head, then withdrew the key from his pocket. It lay flat in his palm and he stared at it, wondering if the innocuous item was to blame for weighing him down. “Actually,” he said slowly, “you do have me going.” Was today really the day? Yeah, he decided. It was action. Perhaps a way out of the rut. He’d been carrying the damn key around for weeks and weeks and it was time to put it to use. After all, it was a new year. Thirty minutes later, at a twenty-four-hour, air-conditioned storage facility located not far from his bungalow in Santa Monica, Knox blinked at the first sight of his legacy then let out a startled laugh. While the bulk of Colin Brannigan’s estate was to be distributed in five years, he’d left each of his sons something “personal.” Brother Gabe had been given the family ranch, Luke the summer resort where Colin had met their mother. Hunter had been handed down a treasure map, of all things. But who knew their dad owned a motorcycle? Colin was a luxury cars and limousines kind of man. For kicks he might take a cruise on his yacht or a jaunt on his private jet with like-minded people of wealth and–purported–worth. Not in a million years could Knox picture his dad in boots and leathers, messing up his precisely styled haircut with a motorcycle helmet. And this wasn’t just any motorcycle. This pristine specimen was none other than a 1953 Indian Chief, one of only 600 produced, if Knox’s memory served. He reached out a hand to caress the supple black leather seat. Though neither his father’s ghost nor the storage unit walls answered, the very existence of the bike pointed in a single direction. 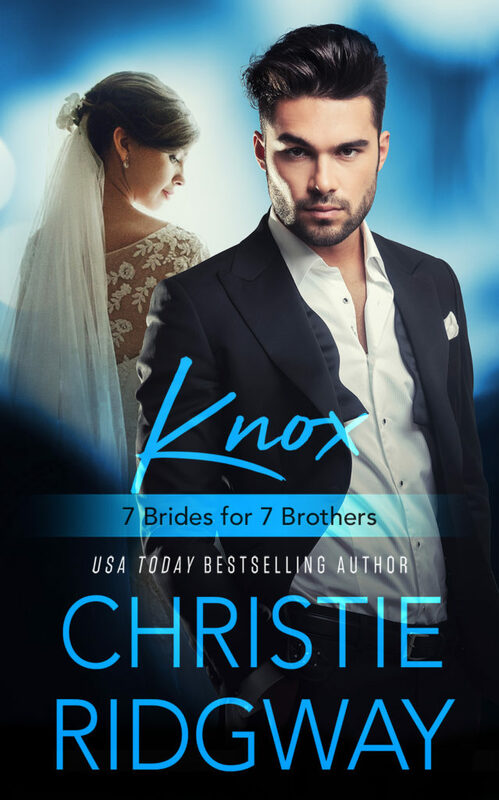 Maybe there Knox would drop this persistent gloom and find his pleasure-seeking, live-for-the-moment, fun-and-games-and-grins-all-around true self again.